Well, last night was kind of a nightmare of not sleeping well. It doesn't look like there are many things that are ok to take during pregnancy when you're sick, and honestly the one thing I usually do take (a certain cough medicine), seems iffy. 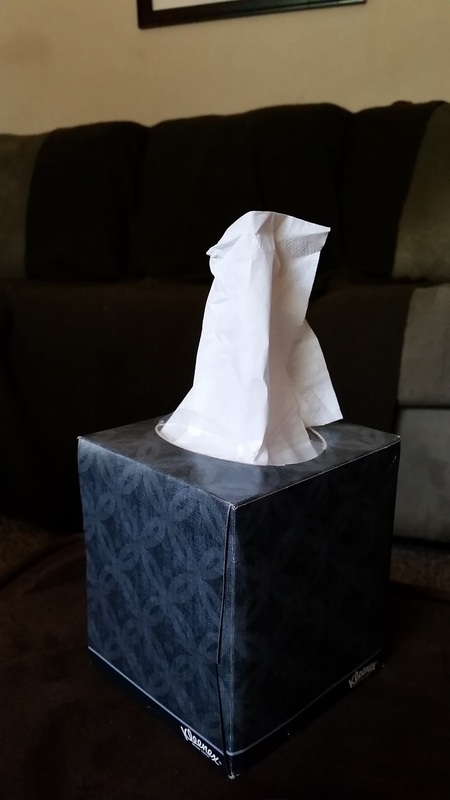 So after a night of not sleeping, I stayed home from work today, napped on the couch, watched a bunch of netflix, and finished of a box of tissues. That's productive, right? The cat was ok with me being home for the most part, as long as I tried not to move too much and interrupt his napping.